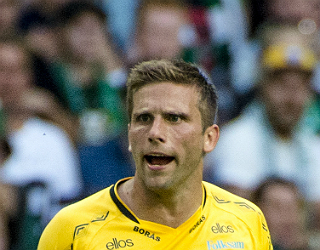 Svensson is a Swedish international footballer playing for IF Elfsborg in Allsvenskan. He is a playmaker or left midfielder well known for his passing and set piece abilities. Svensson's well-known love of mexican food has earned him the nickname "Taco".